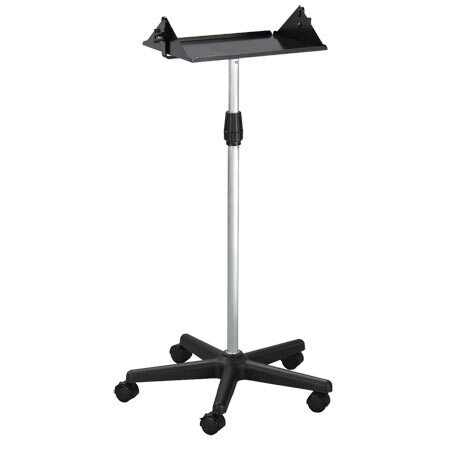 The Mobile Projector Floor Stand is versatile and convenient to use. Featuring a sturdy five-spoke base with lockable rolling casters mounted to an adjustable aluminum column. The stand incorporates a 12” x 15” platform that will accommodate most Artograph projectors, as well as many other opaque and slide projectors.This stand allows for 360-degree rotation and 15 degrees of tilt front to back and adjusts vertically from 3 ft. to 4½ ft. high.